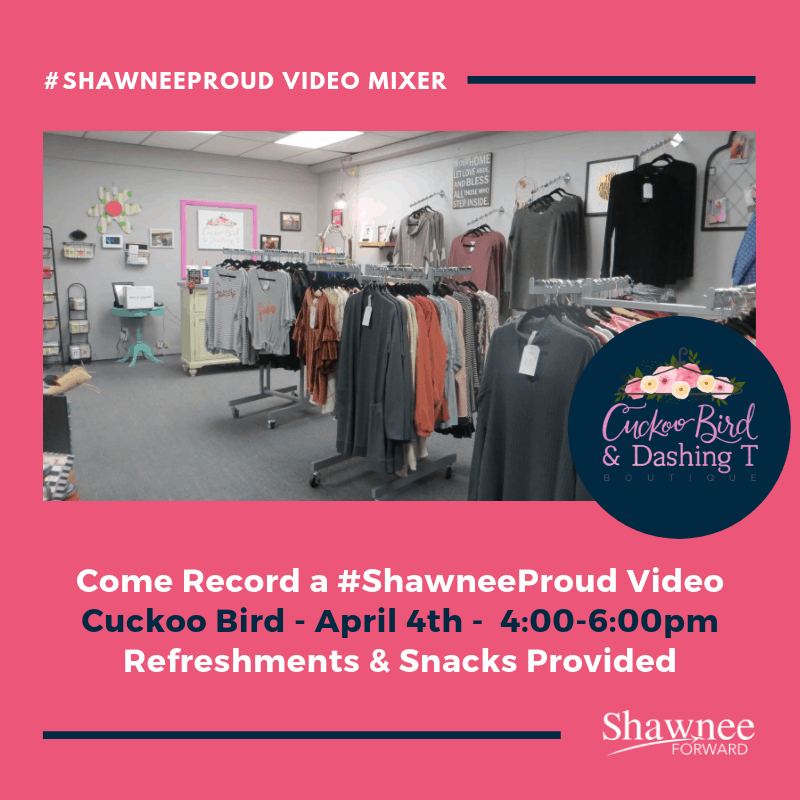 Join us tonight from 4:00-6:00pm at Cuckoo Bird and Dashing T for our next Shawnee Forward Video Mixer. We will be on site with some drinks and light snacks. Our camera will be set up to record your #ShawneeProud video. Join us tonight to shoot a video, do a little shopping, or just come and hang out after work for a bit.